Information transcribed and contributed by Linda Crichton Miko and Andrew Crichton. 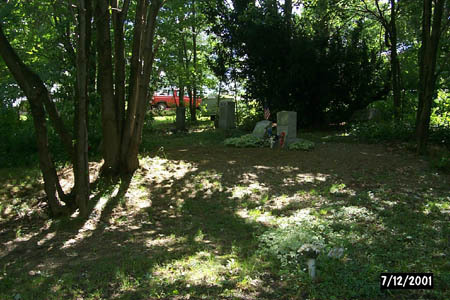 This cemetery was last photographed and updated in 2001. The Hungarian Reformed Lutheran Cemetery is located on Cemetery Road in Portage Township. It is a very small cemetery tucked into the woods with no markings. It is located on the left hand side of the road after passing the Lithuanian Cemetery, but before the St. John's & Orthodox Cemeteries. The Hungarian Reformed Lutheran Church was only open for a 10-year period, from 1921 to 1931.